To mark International Women’s Day (IWD), March 8, we celebrate the social, economic, cultural and political achievements of women. This year’s IWD campaign theme – #BalanceforBetter – highlights the need for balance to drive a better working world. IWD belongs to all of us around the globe. I’m honored to know and work among so many inspiring women throughout Benchmark communities and the home office. Furthermore, I’m proud of the fact that women represent all departments across this company – from community associates to the senior leadership team. More than 5,000 women work throughout Benchmark, representing approximately 80% of our associates! To Be the Benchmark and continue our transformation to a human connection company, we need to keep striving toward accelerating gender balance. Let’s join together to support building a more gender-balanced world. Tom continues his series discussing the industry and future with a look at changes as people age. This is the first in a series of videos from Tom discussing our industry and future of Benchmark in an ever-changing world. What a great finish to the Super Bowl and awesome predictions from Benchmark communities! You have to see the video showcasing communities gearing up for the big game. Allison Melahouris, senior vice president of operations and strategic initiatives, fills in for Tom to discuss Little Hats, Big Hearts during American Heart Month. Welcome to a human connection company! That was one of the key messages from our recent Town Hall. The day featured a review of last year’s accomplishments and a look ahead to the future. We had great conversations, and even some fun as several associates performed entertaining skits centered around our new Service Promises. You will learn more about our new service standards in the upcoming months, so stay tuned! Welcomed the return of 360 associates in 2018! The list goes on and on! And we’re not the only ones who have noticed the change. Our resident and family satisfaction levels have increased as well. We’ve received more calls and letters this year from happy residents than ever before. 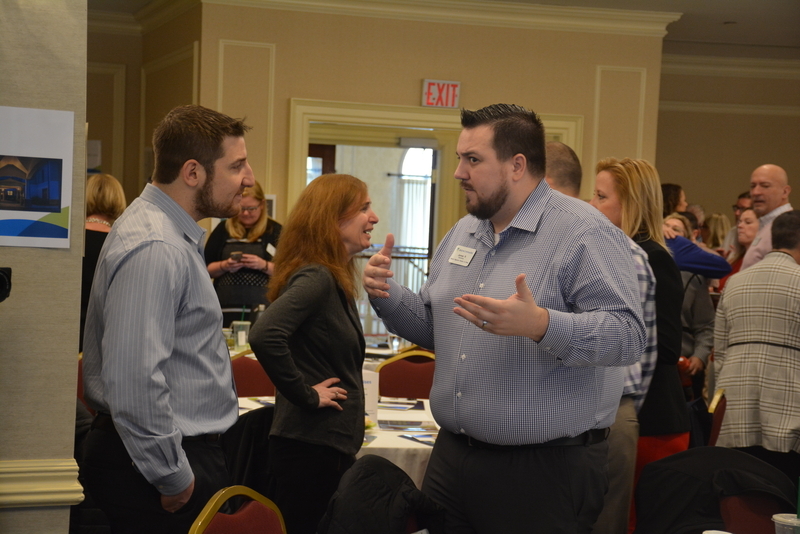 Our efforts to transform from a senior living company to a human connection company are taking root, and I can’t wait to see what happens in 2019. As we look ahead to the future, it’s about deeply knowing and caring for one another. As associates, it starts with us and extends to our residents and families. As we understand each other, we are better able to meet each person where they are and connect them to what’s meaningful and possible. This is the power of our mission, and the work we do each day. We have an incredible opportunity to change the narrative for our customers and create a different future, one that is so vibrant and meaningful that everyone looks forward to it. Can you imagine a time where moving into one of our communities is something people yearn for and view as an experience they simply can’t miss? I can, and this is the future we are all going to create together! Our mission, vision and values remain at the core of everything we do. You all deserve tremendous credit for a wonderful 2018 as our transformation from a senior living operator to a human connection company continues. I invite you to check out some of the photos from the Town Hall below and look forward to sharing more soon. Oh, I don’t want to forget one final message: Go Pats! 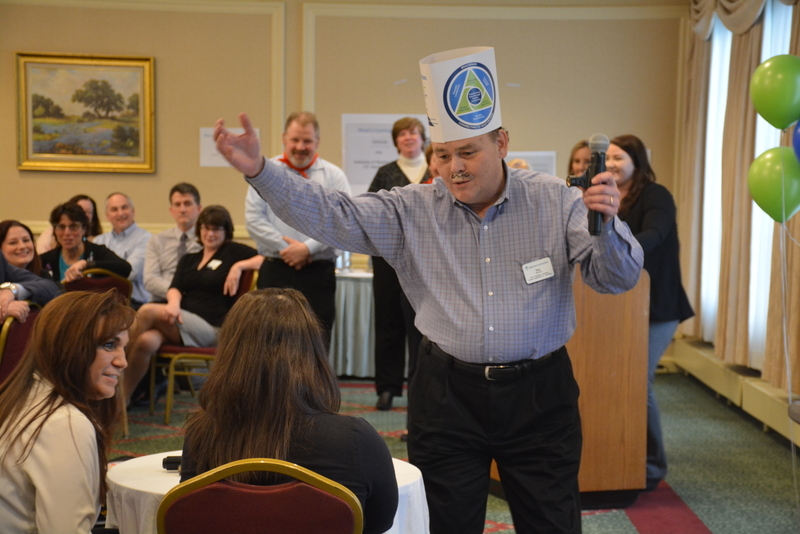 Tom shares an inside scoop on the recent senior leadership team retreat. When I reflect back on 2018 and look ahead to 2019, what I’m proudest of is that Benchmark is an organization with great “character.” Thank you, Benchmark colleagues. The best is yet to come! I’m delighted to kick off the new year with best wishes to my 6,500 Benchmark colleagues! Thanks in advance for your role in making 2019 another tremendous year for Benchmark! I was invited to be the keynote speaker for the November 2018 InterFace Seniors Housing Northeast, an industry conference for senior living executives in Philadelphia, Penn. My address was on Disrupting Senior Living. You can listen in on my remarks below, and you can read a news summary of the address here - http://bit.ly/2E66I31. I invite you to let me know your thoughts about my topic by emailing me at tom@benchmarkquality.com. Thanks! I’m thankful for my lovely wife, Mary, and my two beautiful daughters, Caroline and Emily. I am indeed very blessed. I’m grateful for the privilege of being part of a team that brightens lives every day! As the chill of fall settles in around us, our thoughts and attention turn to the holidays ahead. For some of us, we anticipate the joy of family members coming from afar to be together again. For some, we think of traveling to be with family or loved ones. For some, the holidays pose a burden because the expectations of those we love may exceed our capacity to meet them, either financially or otherwise. And for many of us, we think of those who won’t be with us because they’re elsewhere or gone from our lives forever. Holidays are a mixed bag. They are joyful for many, sad or somber for some and usually stressful for all. Amidst the flurry of activity of preparing meals, traveling or buying presents, I find that I catch myself often needing to remember what the holidays are really about. Notwithstanding the best efforts of every retailer on earth, Hallmark Cards and the NFL, Thanksgiving is really my favorite holiday. I enjoy the crisp fall air, spending some time with family, eating too much turkey and watching a good game. And yet, I also think fondly of those who are gone. I plan carefully to avoid the ridiculous travel hassles. I try hard not to get caught up in the holiday hype, and I do take time to count my blessings. I think of those less fortunate than me, and I stay on my knees longer than usual to thank God for the good fortune he has chosen to share with me. I thank him for my lovely wife, my two beautiful daughters, my family and friends, and the many other gifts I have in my life. I am indeed very blessed. I also say a long thank you to our Benchmark associates. For the great work they do every day. For the countless ways they show their love and care for our residents, their families and one another. For the gift of going beyond doing their job to really touching the lives of those who’ve chosen a Benchmark community as their home, or a home for someone they love profoundly. I say thank you for living our values – Called to Care, Better Together and Be the Benchmark. I say thank you for the quiet ways they offer comfort when others experience loneliness or pain or loss or discomfort. I say thank you for the quiet ways they support one another during the occasional struggles we all encounter from time to time in our lives. I say thank you for the joy and laughter they bring each day to brighten the lives of those who work and live in their Benchmark community. I say thank you for living our values – Called to Care, Better Together and Be the Benchmark. 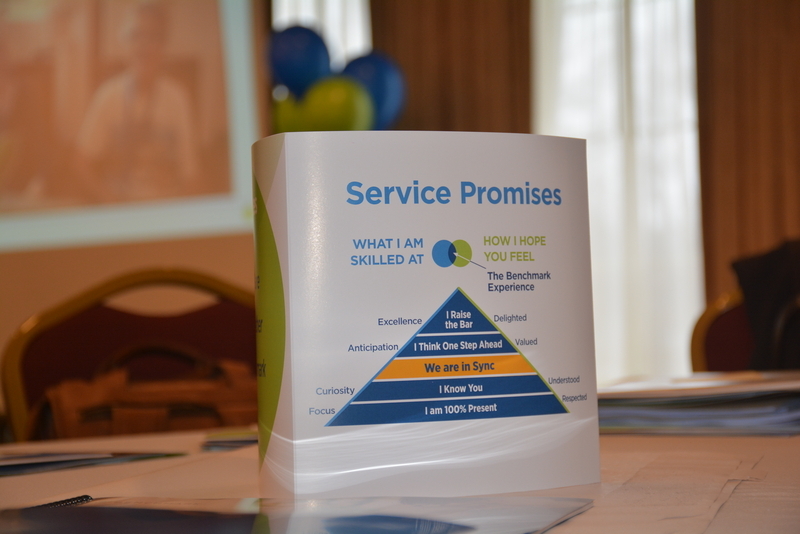 I say thank you for the privilege of being part of this team – known to be the best in New England – that is on a journey to transform lives through human connection. These human connections will be what the people we touch give thanks for next year and for many years to come. They are making a difference. A life-changing one. I thank them and everyone associated with Benchmark, and wish you all Happy Thanksgiving! The original article, Benchmark’s Future Is Outside New England, Embracing Disruption, written by Chuck Sudo, appears on Senior Housing News. CEO Tom Grape opened Benchmark’s first New York community in September 2018. Demand for assisted living and memory care on Long Island and the company’s reputation coming into the market accounted for unprecedented occupancy growth. 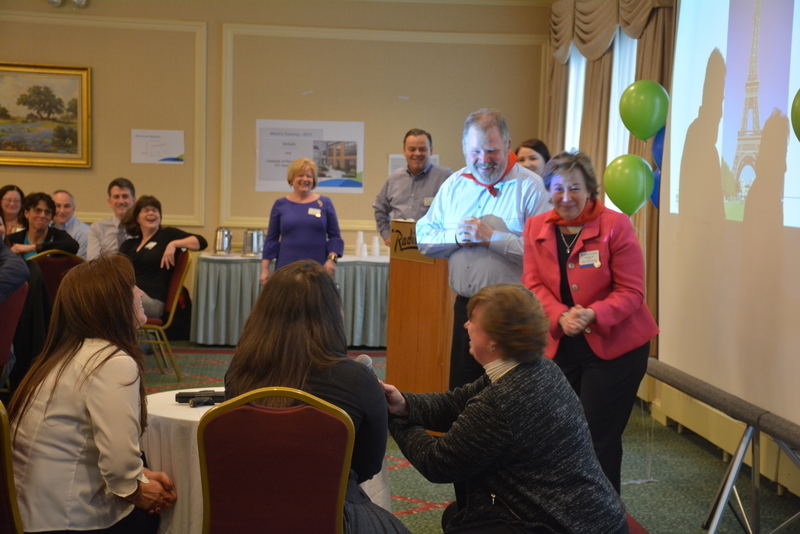 Benchmark Senior Living has long been one of New England’s largest senior housing operators. Now the firm is setting its sights outside the northeast. The Waltham, Massachusetts-based provider recently opened Whisper Woods of Smithtown, a $25.5 million assisted living and memory care community with 130 assisted living and memory care units in Smithtown, New York. It is Benchmark’s first community in New York state, Benchmark chairman and CEO Tom Grape told Senior Housing News. Now in eight Northeast states, Tom has frequently stated that Benchmark is interested in expanding outside the region to urban locations. With Whisper Woods now open, Benchmark’s attention turns to expanding its pipeline. A second community is set to open in Woodbury, New York next spring, and Grape said the company is looking at several other locations for other construction opportunities outside of New England, where all but two its 58 communities are located. As a developer and operator, Grape believes Benchmark is not concerned about the oversupply the industry at large is currently struggling with, and is choosing its markets based on a lack of competition, where the demand-supply ratio favors them. Whisper Woods also marks Benchmark’s first new community to open since its partnership with Baltimore-based data analytics firm Arena launched last May. Arena uses data analytics to help senior housing providers hire employees who will stay at a community long term, and reduce employee turnover, Arena founder and CEO Mike Rosenbaum told SHN. “We’re using predictive analytics to route someone into the place where they will be most successful,” he said. Prior to implementing Arena, Benchmark’s turnover was higher than Grape would have preferred, although it was still lower than that of its competitors. Five months in, Arena has had a notable impact on Benchmark’s communities. At a presentation at last month’s National Investment Center for Seniors Housing & Care (NIC) fall conference in Chicago, Benchmark revealed that employee turnover is down 10% since Arena launched in its communities, and Grape said the company is seeing significant improvement in the workers they are hiring. “Being able to use Arena in a community from the get-go gives us confidence our workforce will improve and we’ll experience lower turnover from the onset,” Grape said. He added that the Arena partnership strengthens Benchmark’s already solid reputation as an employer. The company is one of a handful to make the Boston Globe’s “Top Places to Work” list all 11 years of publication, Grape said. 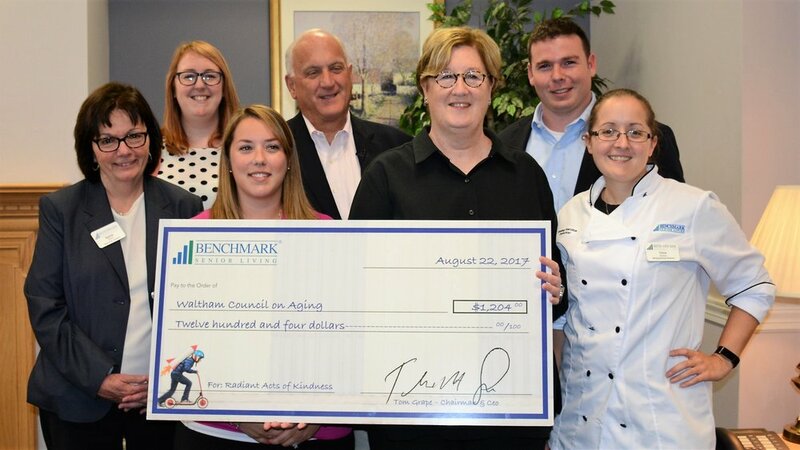 Benchmark was also recognized as a top employer by the Providence Journal and Hartford Courant, and was ranked 16th in Fortune magazine’s inaugural Best Workplaces for Aging Services list, and third among providers with 40 or more communities. The partnership with Arena is one example of Benchmark’s continuous search for operational efficiencies, and to stay ahead of the disruptive forces that are rapidly changing the senior housing industry. Another disruptive force Benchmark is monitoring is Medicare Advantage (MA). Although it is not currently partnered with an MA plan, the rule changes approved earlier this year by the Centers for Medicare & Medicaid (CMS) have the potential to revolutionize senior living by creating a new revenue stream for providers, while making them more integral players in the U.S. health care system. Benchmark wants to be prepared and Grape promises the company will be an active participant in MA when the opportunity arises. Additionally, Benchmark is looking at ways to have closer integration with its existing health care partners. “This is an industry trend we’re pursuing in our markets,” Grape said. This Veterans Day, our Benchmark communities will celebrate the hundreds of courageous veterans who live with us and work among us. We’ll honor them with ceremonies and invite active members of the military to come and visit them. And we’ll add even more names and photos to our Walls of Honor, where neighbors, families and associates can acknowledge year-round the brave service of residents who served in the U.S. military. We feel blessed that so many veterans have chosen to live in Benchmark communities – individuals like World War II veterans Tony Zukas and Frank Korycki, and Korean War veteran Sharon Joy Workman. Truly, they honor us with their trust. We also like showing how grateful we are for those currently serving. Residents and associates in our communities are participating in Operation Gratitude to send care packages and thank-you notes to active military personnel around the world. They are there for us, and we want to be here for them! Although our oldest veteran residents served in World War II, Korea or the Vietnam War, their fathers and mothers could have served in “The Great War,” which ended 100 years ago. People felt that World War I, as horrific as it was, would “end all wars.” Unfortunately, it didn’t. Many may be unaware that, as far back as the American Revolution, the men and women who have fought for our country represent nearly every religion and cultural population on earth. All those who have served in the past and serve today – to keep us safe, to protect the freedom-for-all first conceived by our Founding Fathers –demonstrate that not only are we all Americans, but we are also Better Together. Despite the challenges, divisions and imperfections of democracy, our nation’s gratitude for veterans should know no bounds. Let’s be sure that, today and every day, we find a way to say thank you – to all who’ve gone before and all who will serve in the future. Robert Reiss, host of The CEO Show and Co-author of The Transformative CEO interviews Tom Grape, Benchmark Chairman and CEO, for CEO Forum. Click below to listen! This interview originally was broadcast and now resides on The CEO Forum website. 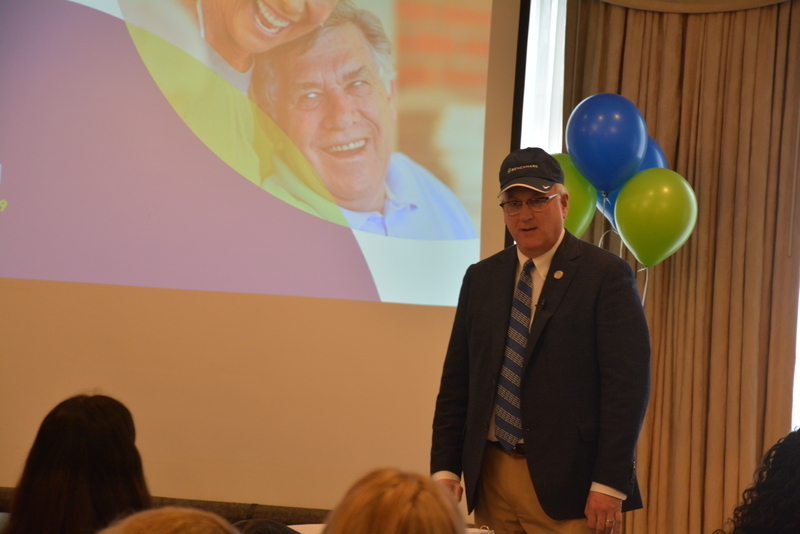 The original article, Institute Talk: A Conversation with Benchmark Senior Living Founder Tom Grape with Len Fishman, appears on The Gerontology Institute blog, University of Massachusetts Boston. The Branches, an assisted living community in North Attleboro, offers “companion-living” accommodations exclusively. Assisted living has been an extraordinary successful model for combining housing and personal care. But the cost often puts assisted living out of the reach of many middle- and almost all lower-income elders and their families. Benchmark Senior Living, a leading provider of senior living services in the Northeast, recently opened a new community in North Attleboro, Mass., that found a way to lower costs by rethinking space and the way residents live. 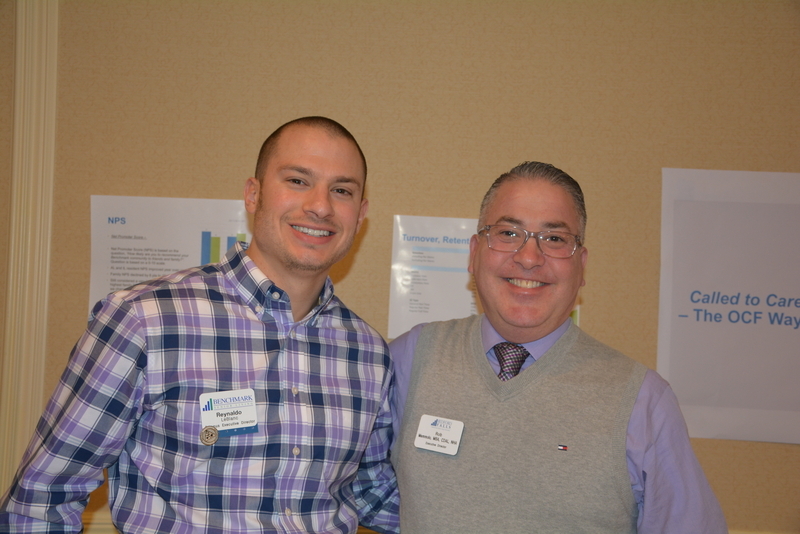 Gerontology Institute Director Len Fishman recently met with Tom Grape, the founder and chief executive of Benchmark Senior Living, to talk about the economics of assisted living, the ideas behind The Branches community in North Attleboro and other issues that affect the cost of senior living services. This is an edited transcript of their conversation. Len Fishman: There are a lot of variables in calculating the cost of assisted living, from the size and type of accommodations to the services required for residents. But, roughly speaking, what does it cost to reside at a Benchmark community today? Tom Grape: Compared to other alternatives, assisted living remains far more affordable unless you’re going to qualify for Medicaid. In Massachusetts, market-rate assisted living can range from a studio apartment starting at $2,500 to $3,000 a month, including typically three meals a day, housekeeping, laundry, transportation, activities, and some modest amount of personal care. And then a studio might be $3500 a month at the higher end with that same basic level of services. A one bedroom might range from $3000 to $4000 roughly, and then a two bedroom might go from $4000 to $6000. Those are starting points. LF: What about additional services residents may need? TG: Almost every provider in Massachusetts will assess each resident before they move in and will do periodic reassessments. So, for example, if they fall or have a medical change in their condition, the community will reassess their condition. If it determines that they will require more care, then they will assess an additional charge for that higher level of care. You also might be charged additionally for how much intervention is required to manage your medications. Communities do it in different ways but almost all I’m aware of will charge extra for those extra services. LF: Memory support is a level of care where obviously you’re dealing with a much greater need for personal care services. What would that cost? TG: Memory care is definitely more expensive than the numbers I’ve quoted because the starting point level of service is definitely higher. So those would typically start at $5,000 a month and could go up to $9,000 a month depending on, again, the level of care, supervision, and assistance required. LF: From a provider’s point of view, what are the economics behind those rates? What does it take to run a community? TG: It goes like this: For every dollar of revenue we take in, approximately 70 percent goes to covering operating expenses. That’s staff primarily, utilities, insurance, food, those kinds of things. Approximately 20 cents of that dollar will go to cover the costs of the building, debt service. And 10 cents, if you’re a for-profit provider, might go to profits. If you’re a non-profit provider, that might build reserves. 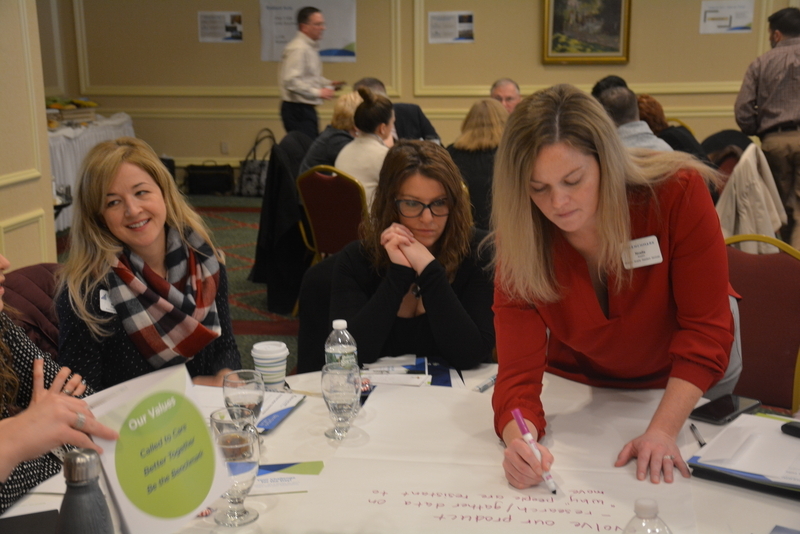 LF: So how does your new community in North Attleboro alter that equation and try to make assisted living more affordable? TG: The fundamental challenge is that the building will do part of it, and that’s what we’ve addressed at The Branches. But it doesn’t address the real need, which is some form of [financial] help on the service side. Still, we said let’s do what we can with the building. We reduced the size by about 35 percent from a normal, traditional assisted living building. And we chose to do that by not substantially changing the common areas, but by reducing the size of the apartments. In North Attleboro, we offered all “companion-living” apartments. There isn’t the array of apartment options that we have in our other market-rate assisted living communities that would include a private one-bedroom apartment or a private two-bedroom. LF: What does companion-living look like? TG: When you walk into any of the apartments, there’s a very small common area in the middle, which has a kitchenette and a little seating area, perhaps for a shared dining table or something, and then on either side is a studio apartment, each with their own private bathroom. LF: Were there any other construction elements that helped keep expenses down at this community? TG: We chose a more moderate-income community to build it in, North Attleboro We were also able to do it on a single story, which allowed us to do it as stick-built construction. We haven’t done a stick-built building in a number of years. LF: So how did all that affect the rent at Branches? TG: That, along with some changes to the program, allowed us to reduce rents by 20 to 25 percent compared to traditional assisted living buildings. So it’s not enough to get to low-income folks but it is a meaningful difference. The charges are $3,000 to $3,700 a month, depending on the configuration of units. LF: The Branches opened last November. What has been the response so far? TG: We’re well ahead of our projections. We’re obviously interested in the notion of offering all companion units and how that would be received. We have companion units in a number of our buildings, so this is not a new concept, but we’ve actually built activity programming around it. When we’re meeting with folks about The Branches, we talk about the benefits of companion living – as opposed to, “Well, we have no other apartment, we have this companion unit,” which is sometimes how others sell their companion units. Here, it’s actually a feature we’re selling. LF: So you’re almost reframing it as a kind of buddy system? TG: Yes, and people have responded to that with great enthusiasm. Again, we built it into our activities programming. The move-in process is all about the buddying-up process. So it’s not an after-thought or a compromise. It’s a central element to what The Branches is and people have loved it. It’s the socialization aspect of the companion units. LF: You elected not to reduce the common areas in any appreciable way at The Branches. Why was that? TG: Our view was that because the units are going to be smaller and we’re selling the socialization aspect, we wanted people to have sufficient common area to socialize. We wanted people to get out and have plenty of activity space, courtyards, game rooms. We thought that was consistent with the notion we’re advocating here. It’s not just about the lower price, it is about the socialization aspect of companion living. So common areas were in fact central to that. LF: Do you expect to build more communities based on The Branches or how might the design evolve? TG: We do imagine doing more of these. We are still doing research about what’s happening at The Branches to learn from it. But the response has been so great that we are expecting to do a few more. One thought that we’re entertaining is not necessarily having 100 percent companion units, but having a little bit more of a choice. There are some other tweaks we’ll do but I think that’s the big issue. And yet we want to stick with the principle notion of this, which was socialization and companionship. So we’re not going to go against that. LF: Are there other approaches to affordability you think would be helpful? One obvious question is whether you would like to see Medicaid covering assisted living in Massachusetts the way it does in some other states? TG: Medicaid does cover assisted living only to a limited degree through the Group Adult Foster Care program. The problem is the reimbursement rate hasn’t changed since 1994. LF: In some other states, there was a move to adopt what was overtly called the “nursing home substitute model” of assisted living that allowed for a level of care that could go as high as the nursing home level. That’s not possible in Massachusetts because we have adopted one of the more restrictive regulatory regimes that prohibit the provision of health care services in assisted living. Would you like to see a change in that regulatory regime? TG: The regulatory structure in Massachusetts doesn’t allow assisted living communities to be assisted living communities, forget substitute nursing homes. We have the most restrictive regulatory structure of any state in the country. No other state in the country does not allow nurses to be nurses in assisted living communities. LF: Let’s go to the example you gave of somebody who no longer can self-administer medication. How does the situation in Massachusetts differ from that in other states you’re in? TG: Well our RNs – fully trained RNs who may have an evening job in a hospital emergency room – when they’re under the employment of an assisted living community are not allowed to administer shots. So if you’re a diabetic living in an assisted living community, the fully qualified RN is not allowed to administer a shot or put an eye drop in or do basic things like that. Residents have to call a home health agency or have some other arrangements made. That’s just outrageous. LF: How did that happen? TG: I think it comes down to in the early days when assisted living legislation was being passed. There was a negotiation with the nursing home industry and a way to have this be passed with their support was to limit some of these skilled services. That was fine in the early days of assisted living, when the acuity of the folks we served was much lighter. As we know, the acuity throughout the health care continuum has increased dramatically in the succeeding twenty-plus years. LF: What’s the effect on consumers, what’s the effect on people who live in assisted living and their families? TG: It absolutely makes it more expensive and less convenient and potentially poses health risks. Families move in with the expectation that mom or dad will be able to get all of their care needs met in this assisted living community. They move in only to find, whether the need existed at the time they moved in or whether mom or dad becomes diabetic or whatever a year later, that in fact we can’t meet that need. That you have to now arrange for a home health care agency to come in and provide for these services that seem so basic. Radiant Acts - Bringing Our Core Values to Life in July! As we begin the summer living our mission to connect people to what's meaningful and possible at every stage of life, I'm challenging everyone at Benchmark to bring our core values to life through our second, annual Radiant Acts of Kindness. Throughout July, our goal is to be creative about transforming the lives of individuals, neighbors and organizations in all our local community through human connection and surprising acts of kindness. Last year, our first Radiant Acts of Kindness campaign resulted in 1,204 total acts committed by associates in our nearly 60 communities across seven states. That total led to us presenting a check for $1,204 to the Waltham Council on Aging. This year, the community with the highest number of Radiant Acts will get to choose a local organization for us to present a check to -- and I'm hoping it's a BIG check! Watch our Facebook pages for #BeRadiant2018, and join us on our month-long campaign to bring our Benchmark core values to life: Called to Care, Better Together, Be the Benchmark. On May 29, Starbucks closed more than 8,000 U.S. stores to conduct anti-bias training with 175,000 employees. At this very moment in time, as we at Benchmark are redoubling our efforts to rename and refresh our own “founding values,” the Starbucks experience serves as a wake-up call for us. Although we have a diverse team of 6,100 associates, we have much work to do when it comes to being truly inclusive. And being anything less than fully inclusive is not OK.
We are not immune to the same sort of conscious and unconscious bias that the Starbucks anti-bias training was designed to help overcome. And, like Starbucks, we know that one afternoon of diversity training cannot eradicate stereotyping or prejudice. However, with our Benchmark beliefs as a compass, we can make strides together toward changing ourselves so that we, in turn, can transform the lives of others. I strongly believe that, if we truly strive to “deeply understand people, meet them where they are, and connect them to what’s meaningful and possible at every stage of life,” as our mission states, we will look at one another, our residents, our families and neighbors and look past their race, gender, age, religion, ethnicity, nationality, sexual orientation or any other point of differentiation. 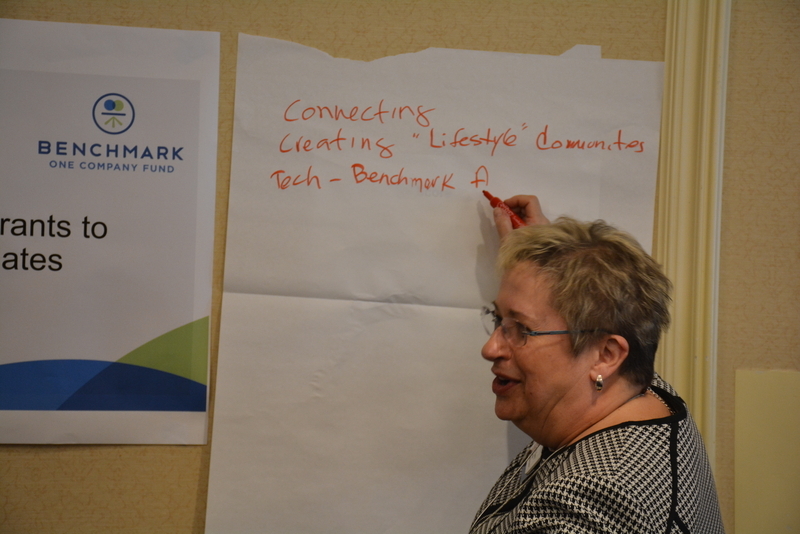 At Benchmark, we see a world in which every person feels meaningfully connected to what matters most throughout their lives. Not only must you and I “see” that for everyone, we must also attract individuals to our company who “see” it, too. With that in mind, an important step we’re taking is to hire individuals across our company who not only represent diversity but also command our respect by demonstrating that they, like you, are Called to Care and believe in and practice inclusivity. As I stated after last year’s unfortunate events in Charlottesville, Va., we want everyone to feel valued, safe, welcome and included at Benchmark, and we are opening a dialogue and implementing training programs to help us live our values and break free from cultural bias and racism within our ranks. 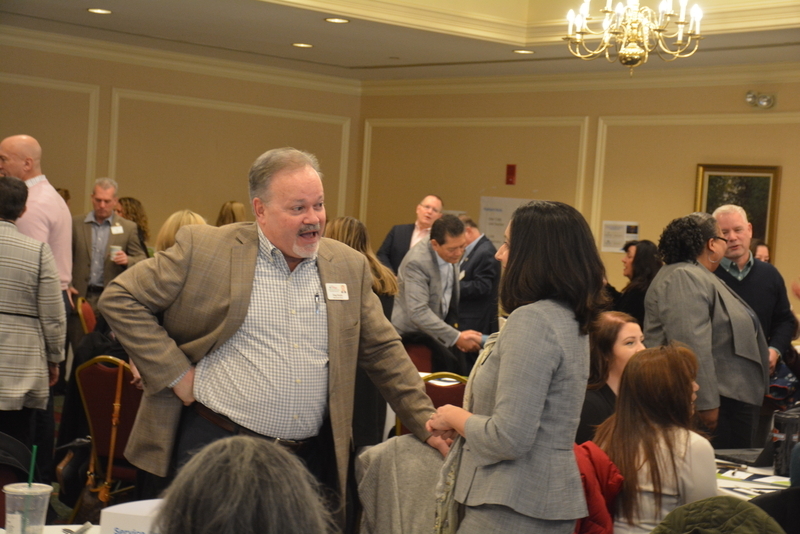 Last week, senior company leaders met with a seasoned diversity specialist who will contribute his guidance as we assess what to do from an organizational learning perspective. 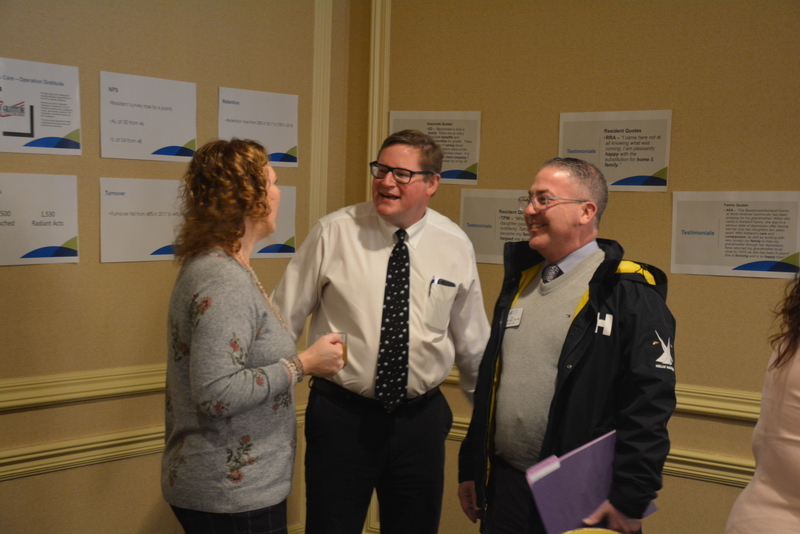 For us to create the culture we desire and produce life-transforming experiences for our residents, family members and fellow associates, each of us must uncover the conscious and unconscious bias holding us back from treating everyone equally. Only then can we reshape our organization and Be the Benchmark for inclusiveness. And only then will we truly connect to what matters. Happy Mother’s Day and Thank You, Benchmark Moms! As we celebrate Mother’s Day, I want to recognize all the Benchmark moms among us – residents, family members and associates – who have guided, inspired and cared for their families, despite typically “burning the candle at both ends” to manage the torrent of daily needs. And to our mothers, whether your children are grown or still in diapers, we want to acknowledge how you inspire and transform lives – our lives – through meaningful human connection and hugs! Each year when this day approaches, I’m reminded of my own mother and the inspiration she was to our family and, especially, to me. Starting my sophomore year in high school, mom served as a career counselor, advising my fellow students on their college and career choices. My memories of seeing her walk the halls of Roger Ludlowe High School are rekindled each time I visit Sturges Ridge of Fairfield, our new community set to open in September. It is right next door to my high school! Mom was a real force in town, and my friends lovingly called her “the tiger.” She had charisma, presence and a dynamic personality. Of this I’m certain - in a different generation, Lee Grape could have been a CEO! How very grateful I am for the love and influence she showered on me. To all our Benchmark moms on Mother’s Day and every day – thank you for transforming lives through human connection in your most important role: Mom. I’m moved by the stories I regularly hear about how deeply our nurses care for residents, families and their fellow associates. As we celebrate National Nurses Week, May 6-12, I want to acknowledge and thank all our Benchmark nurses on the front line serving in such critical roles. It’s fitting that this special week ends on the birthday of Florence Nightingale, a trailblazer and founder of modern nursing. Through empathy, professionalism and tireless commitment to helping others, Benchmark nurses embody our Benchmark value of being Called to Care. Our 732 nurses across Benchmark provide care on many levels, demonstrating that we are Better Together – whether it’s saving a life, holding a hand and even honoring residents by covering them with a handmade quilt as they exit a community for a final time. 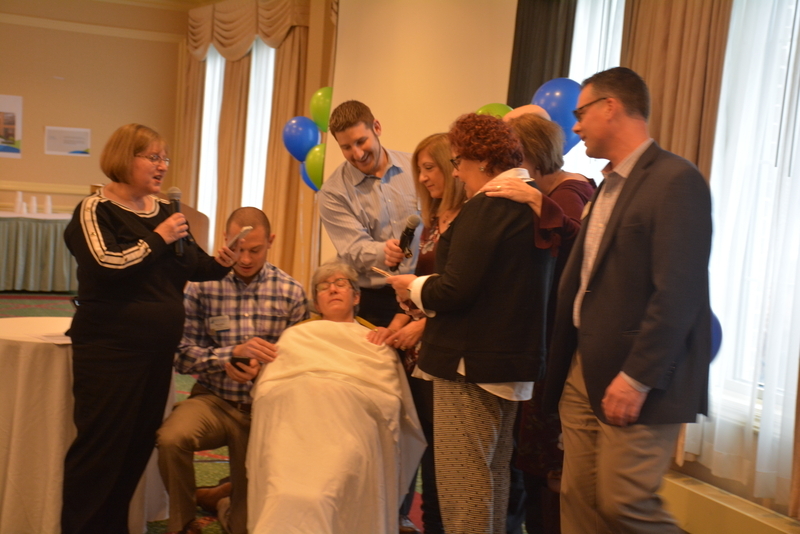 Francine Morton, Memory Care Nurse at Shrewsbury Crossings, with the help of her colleagues, created a way to honor residents who pass away. When a resident she cared for and who meant a great deal to her passed away, Francine Morton, Memory Care Nurse at Shrewsbury Crossings, was saddened to see her leave the community unceremoniously. So, she decided to honor residents in the future in a special way. “Our residents receive a lot of fanfare when they arrive, and I wanted to create a similar experience for those exiting our community,” Francine says. She contacted a close friend to design a quilt using associate clothing and a Benchmark blanket as backing. Excited at a chance to contribute to such a wonderful project, her fellow associates donated shirts in a variety of colors, including a Service Champion shirt. The finished product is a special expression of this Benchmark community’s love for its residents, and it’s one more lasting reminder of the difference that one nurse can make in a community. How fortunate we are to have 731 more nurses just like Francine who are connecting to what matters. Thank you, Francine, and every one of our Benchmark nurses for all you do on every shift to transform the lives of those in your care through human connection. 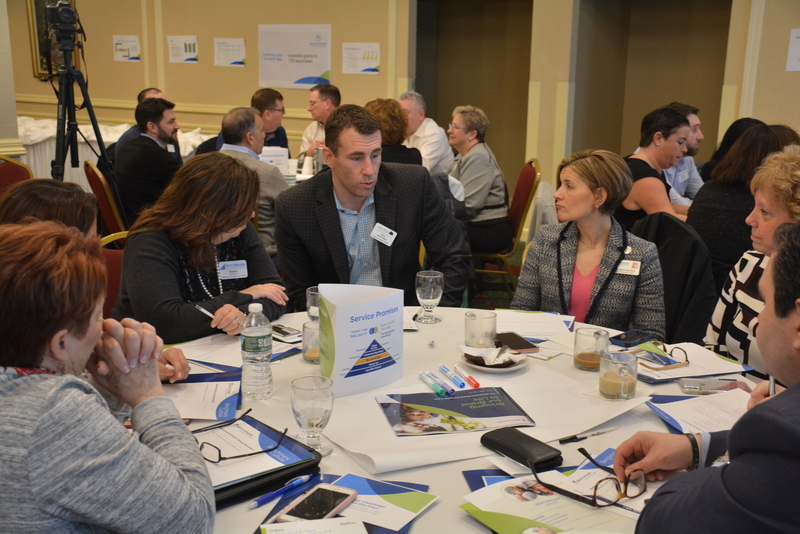 The original article, Viewpoint: Integrated Care, Savings Are Possible Through Senior Living, Hospital Partnerships, appears online at The Boston Business Journal. The largest portion of health care dollars today is spent on caring for the elderly. Per person, health care spending for those 65 and older — due to costly chronic conditions — was $18,988 in 2012. That’s more than five times higher than spending per child ($3,552) and approximately three times the spending per working-age person ($6,632). With this care load, emergency departments have become crowded and hospitals oversubscribed. We’ve also seen growth in urgent care models to prevent using hospitals for minor illnesses and accidents. But for individuals past a certain age, chronic illnesses and even basic medical procedures require ongoing monitoring and management and, at times, emergency treatment. For those situations, an urgent care or hospital model may not be the best option. A better solution is for the senior-living industry to partner with hospital networks to provide a continuum of post-acute care. Aging adults have unique needs requiring cross-functional consideration, balancing what they physically need, what they can cognitively handle and what they emotionally want. Currently, there is no system, practice or service in place to do this. A reasonably healthy man in his 80s named Dennis needs a pacemaker and is simultaneously diagnosed with memory loss. He’s sent home with a packet of instructions, but, the day after surgery, he’s at home — confused, nervous and in pain. He can’t recall being told there would be swelling and bruising. And because he can’t remember to take his medication, the pain makes him feel that something is terribly wrong. He wants to drive back to the doctor or the hospital for help, putting himself and others at risk, all while costing the system unnecessarily. We experience this story repeatedly, and it needs to change. We must care for seniors in the later stages of their lives like we treat younger, more agile and cognitively astute individuals — but we need new practices and solutions to get it right. Each player in the senior care ecosystem has a piece of the puzzle. But the tall silos cannot be torn down and change cannot happen until there is: a new care model, new policies allowing that model, the ingenuity of innovators, and the willingness of hospitals, primary-care doctors, skilled-nursing communities, senior-living professionals and others engaged in the continuum of care. To ensure care is delivered in the least costly and most appropriate setting, basic and chronic care for seniors must move to settings devoted to their unique needs, such as senior living communities, and away from traditional emergency departments and hospitals. Partnerships begun today can ensure such care exists tomorrow. Jeanette Clough, president and CEO of Mount Auburn Hospital. 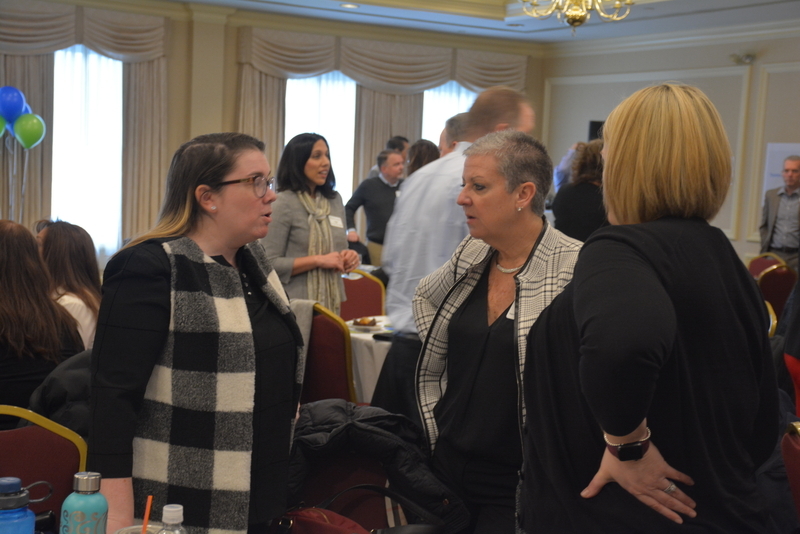 Benchmark Senior Living and Mount Auburn Hospital have taken a first step toward collaboration so that health care services may be done onsite, in homes of senior-living community residents. If those directing the care of someone like “Dennis” had solutions available leveraging the collective expertise of the entire system in a collaborative model of care, perhaps he could have received his medications and reminders of why he needed them in a more affordable, less disruptive fashion. In addition to lowering costs, such alliances between senior living communities, hospitals and local providers, such as home care, can reduce risks and improve outcomes because care is easier for seniors to access and comply with. So, let’s start thinking outside of existing silos and begin building integrated senior care models from the ground up. And let’s begin by asking seniors and their families what a world of compassionate, quality care and counseling might look like through their lens rather than the lens of existing systems designed to care for everyone else. Thomas Grape, Chairman and CEO of Benchmark Senior Living, and Jeanette Clough, President and CEO of Mount Auburn Hospital, are partnering to develop health care solutions for seniors. Mr. Grape also serves on the Governor’s Council to Address Aging in Massachusetts.